Mohammad Zaid is mechanical engineer specialize in ” Thermal and hydraulic systems “. He earned his Ms. Degree in industrial engineering from Jordan University/ Jordan 2004 , Eng. Zaid was production manager for one of the biggest paints company for 6 years, Eng. Zaid established and managed many industrials projects in Jordan ,UAE, Sudan, Egypt . Eng. Zaid joined the American University of Ras Al Khaimah in year 2014 where he is now a mechanical engineering lab instructor. His primary interests are in the areas of thermal sciences, hydraulics sciences. Now he is working in research on water desalination and he design and construct solar desalination still unit in RAKRIK. Eng. 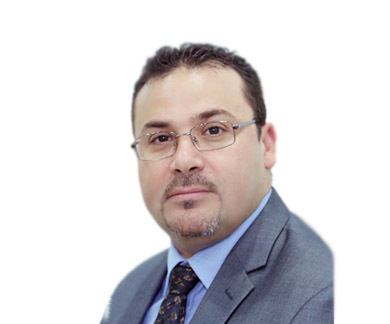 Zaid has conducted many short courses and seminars in Jordan in the areas of maintenance planning, material handling, MRP, TQM, ERP, ISO, internal auditing, bearing, pumps, and coast reduction technics. he got many certifications and trainings such as NEBOSH, CREO 0.3.